We are delighted to announce that Lisa Knapp has been promoted to Deputy at Hatch Warren Under Fives. As you can see from the photo, Lisa is delighted too! Lisa has been with Hatch Warren Under Fives for 13 years. She’s our longest serving member of staff and now that her three children are grown up, she felt ready to take on more responsibility within the preschool. 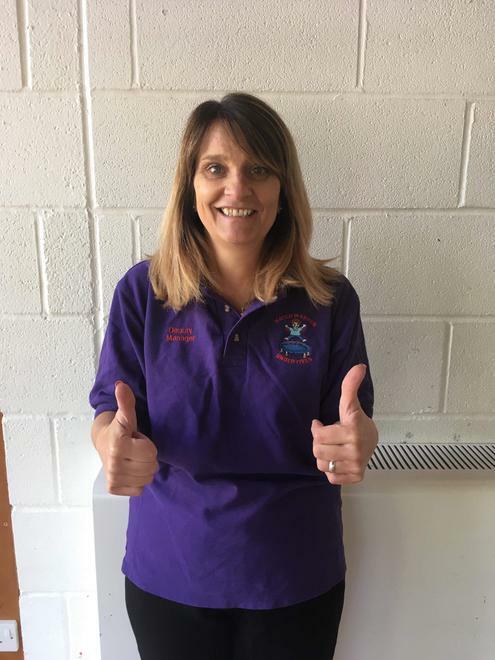 Lisa’s length of service at Hatch Warren Under Fives is testament to the fact that Lisa loves her job and enjoys every minute of working with our wonderful children. She’s looking forward to being able to continue spending quality time with the children in her new role, while taking on more managerial behind the scenes work. She already has a fantastic relationship with our team, who are all really happy to have the support of Lisa in a Deputy role.